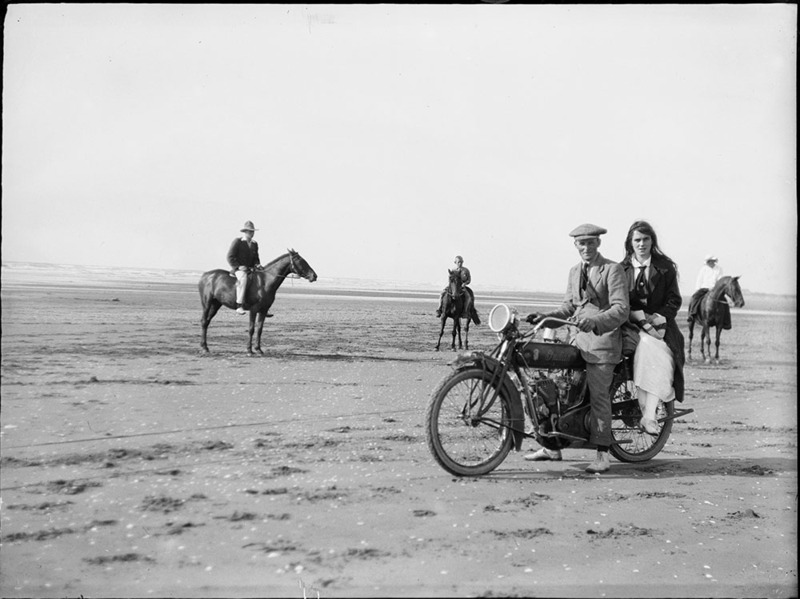 An update from history curator Kirstie Ross on the progress made transcribing selected diaries from those kept by Horowhenua farmer Leslie Adkin for 40 years. A few weeks ago I invited blog readers to transcribe diaries from October 1917 to November 1918 kept by Leslie Adkin, a Levin farmer, photographer, husband and father, geologist, ethnologist, and tramper. This is just a select portion of the 40 years’ worth of diaries that Leslie kept through his life (1888–1964). Firstly, an enormous thank you to all transcribers. Although I still have a tiny bit of proofreading to do, entries for October, November, and December 1917 are now fully transcribed and available online. 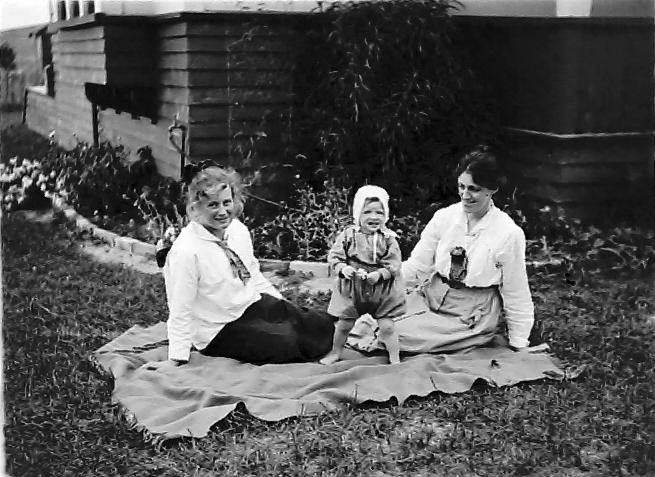 Transcribers will know that over these months, as with preceding ones, Leslie religiously recorded the date that he took each photograph, such as the one above of his wife Maud and daughter Nancy, taken on 24 November 1917, and the one below of his sister Dora and her beau Ron Law, on 26 December 1917. This is not something that many people take the time to do today! In fact most people probably do the reverse, and use photos on their phones as a kind of visual diary. You can experience the most recently transcribed diary entries going ‘live’ in ‘real’ time, 100 years after they were written, by viewing Leslie Adkin’s own Twitter feed or via the WW100 website ‘Life 100 Years Ago’. You’ll be surprised, I think, to see how long it takes for news of the Battle of Passchendaele, which took place on 12 October, to reach Levin. Some of you noticed that we hit a small technical road bump when Collections Online was updated, when the images of the original diary entries could not be viewed and made transcription impossible. I’m pleased to report that this is now fixed – thanks Collections database tech team! So I’d like to extend another invitation to existing and potential Adkin transcribers: we are now seeking the transcription of Leslie’s diary entries for January and February 1918 – and even March, if you are game. What’s in store for 1918? 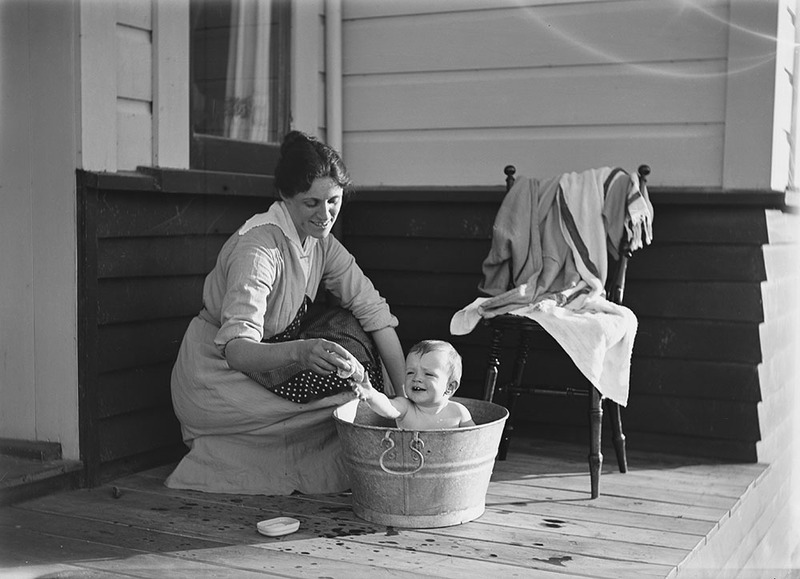 Going by his photographs alone, diary entries for early 1918 will no doubt cover Leslie’s regular summer farm work but also milestones reached by baby Nancy, the Adkin family’s adventures out-of-doors, and socialising with friends and family. To select a diary entry to transcribe, type your date with double quote marks, e.g. 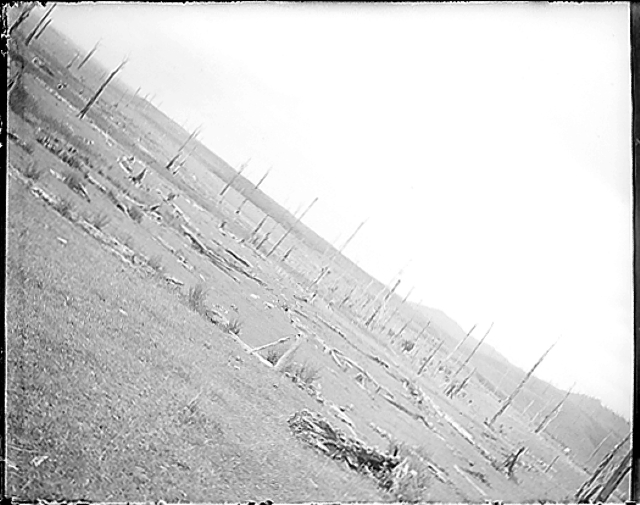 “29 January 1918”. Click the box underneath labelled ‘With images’ and filter results further by selecting ‘Topic’ under the TYPE heading. (This is on the left-hand-side of the page.) Begin your transcription in the blank space. Here you will also find tips for transcribing and deciphering some of Leslie’s abbreviations, and how to spell them out – e.g. ‘p.’ =p[addock]. But because there are lots of paddocks in Leslie’s life and his diaries you only have to spell the word out the first time the abbreviation appears in an entry! 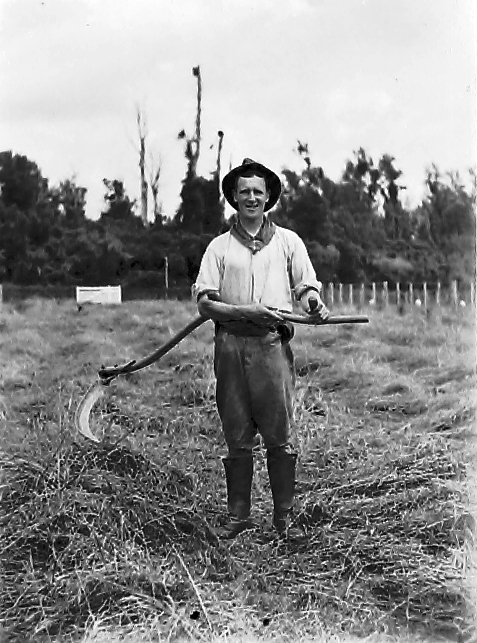 And whether you are just ‘grazing’ the diary entries at your leisure or transcribing them as well, I hope you enjoy your encounters with Leslie Adkin’s life, 100 years ago, as much as I have. Still having trouble finding entries. Searching dates “1 December 2018”, 3, 5 December, 27, 30 November 2018 all yield no results. Tried just “1 December” but no results for that either. What am I doing wrong? And nothing for “1 January 2018” or “January 2018” either. Help!! And when I search “1 December 2017” and “2 December 2017” following the above directions, I still get thousands of entries. I’ll keep trying different dates. It’s still really hard to find the entries that need transcribing! I just spent 10 min searching and then came back to read this. Maybe a ‘transcriber’ tag would help? And in the old system you could read one entry and then click next to go to the next day, which was great. I can’t see how to do that now. Found the “next” button. Finally happened on a transcription needed page in Nov 18 by random looking at diary entries.